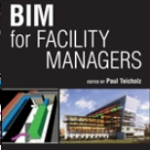 PE, PhD, LEED AP contributed to the book BIM for Facility Managers, released for publication at IFMA Facility Fusion. Published by Wiley, the book contains information about current best practice about BIM for facility management, COBie and several case studies. Jim provided content to support how to make the business case for BIM FM. Angela wrote three of the case studies: State of Wisconsin, University of Chicago and University of Southern California (UCS) School of Cinematic Arts. Addressing building owners, developers, and managers, this text covers how building information management (BIM) complements facility management (FM) systems to achieve significant lifecycle advantages. It includes coverage of the guidelines for BIM in FM as developed by owners such as the General Services Administration, the COBie2 (BIM document standard) used to collect and communicate facility equipment information, and a list of software for BIM/FM integration. It also offers six real-life case studies including the Texas A&M Health Science Center, the USC School of Cinematic Arts, and the State of WI Facilities.